India's next government will have to bring in land, labour and financial sector reforms to improve the productivity of the manufacturing sector and boost economic growth, India's chief economic adviser said. 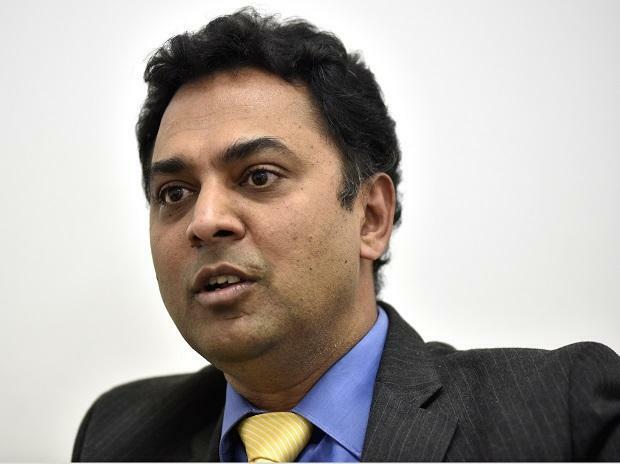 "These are the critical areas, we need to work on," Krishnamurthy Subramanian told Reuters in an interview. Several business leaders said a delay in land acquisition for private factories, decades-old restrictive labour laws and higher borrowing costs discourage many investors who therefore prefer to build new plants in countries like Vietnam, Thailand, and Bangladesh. The share of manufacturing in the economy has grown just 1.5 percentage points in the last three years to 18 per cent, and good exports have shown little sign of a pick up in the last five years.India's economic growth rate has decelerated to a five-quarter low of 6.6 per cent in the last quarter of 2018, dragged down by lower growth in consumer demand and government spending, raising concerns among policymakers and politicians. But brushing aside concerns about an economic slowdown, Subramanian said the present government's economic reforms have contributed to an average annual growth rate of 7.3 per cent over the past five years. Modi tried to push land and labour reforms after he took charge in 2014, but had to shelve them after strong opposition from political parties and labour unions. The industry has for years sought approvals for easy acquisition of land at a cheap price for setting up factories, flexible labour laws to hire and fire workers, a subsidised social security network for employees, and lower interest costs for funding to compete with other countries. Land costs have more than doubled over the past five years, and hiring costs have gone up significantly, hitting labour-intensive sectors like textile, leather and gems and jewellery, business leaders said. The country faces an uphill task to create jobs and shift millions of unemployed and underemployed youth from the rural farm sector to urban areas. As many as 75-100 million young people are expected to come onto the Indian labour market in the five-year term of the next government. A general election must be held by May. As for low food prices, Subramanian said that increasing farm production is taking its toll on prices. "We have a population that is growing at less than one per cent and the food is growing more than 3 per cent," he said referring to fall in prices of food items. "Because there is a surplus, the prices will go down," said Subramanian, adding that India's farm sector faced a real crisis and needed government intervention. The average annual income of farm households was just Rs 30,000 ($423.71), he said, and the government's plan to directly transfer 6,000 rupees annually to each of about 120 million farmer households would help them as well as the economy. "We are poised for growth because some of the requirements for a sustained growth without speed breakers have been erected," he said adding the economy could grow at 7.2 to 7.5 per cent in the next fiscal year beginning April 1.